My grandfather died by drowning. I’ve almost drowned twice. I’ve spent most of my life living near oceans. I’m an avid sea kayaker on the exposed coast of the Pacific Ocean. I’ve seen boats sink in front of my eyes, and have helped rescue boaters and swimmers from the ocean. My life has followed an arc from abject fear of the ocean to a balanced acceptance of the joy it can bring…and its utter indifference. Despite the huge catalog of art that has addressed the majesty and mystery of the ocean (from Ravel’s Ondine to Isis’ Oceanic), it was only a matter of time before I spent some time exploring this theme myself. This album was started in 2017, felt almost finished twice, and each time, I stripped out about 25% of the tracks and replaced them with new pieces that I felt were more appropriate and in better keeping with the theme. The last round of tracks started to built a hypothetical narrative, at least to me, and that’s what cemented the album in its released state. The Ocean Claims Its Own started by exploring my feelings about the ocean with the modular synthesizer. There’s something of a narrative that holds the tracks together, in which time is dilated during certain moments, but that’s more for my pleasure and track flow, and the listener is free to draw their own conclusions. But I didn’t want to make an album that sounds like the ocean. I wanted to express what the ocean does to people, from the exhilaration one’s bow slapping into steep waves heading out to sea, to those that drown, and those left behind by ocean-goers that never come back. Just as water itself takes the form of its vessel, the ocean’s meaning is unique to each person that experiences it. This left a wide field of investigation beyond just the ocean’s physical and behavioral attributes, which is why the tracks range in tone and subject from wanderlust and wonder to storms and burials at sea. I didn’t want to “explore the dialogue between humanity and the ocean;” the ocean doesn’t respond to our desires or questions. I didn’t want to just evoke the sea in isolation, as Debussy seems to do in La Mer. Instead, it’s the interface between human experience and the ocean’s very nature that seemed the most interesting. I wanted this release to explore the tension and beauty of human performance overlaid with self-generating composition. Some of my earlier releases had self-generating elements in multi-tracked compositions, but this time I wanted my modular synthesizers to be more like a second member of a band, where I’d give it some instructions and parameters but it’d take that and riff on it while I played a different line or component of the piece. 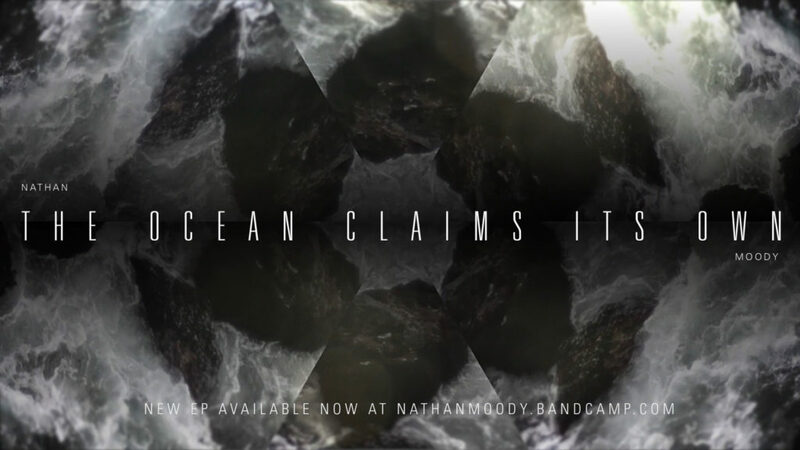 Most of the tracks on The Ocean Claims Its Own were performed live in one take, with modular synthesizers and the occasional use of the Teenage Engineering OP-1. These tracks use wavetable, additive, complex, and modal synthesis modules (the buoy clangs on Across the Threshold were made with the ubiquitous Mutable Instruments Rings, which is criminally underrated for bell tones) with more wavefolding and waveshaping than I’ve done on previous releases. Generative melodies were created through complex mixed LFOs and envelopes run through a quantizer, with liberal use of random-but-quantized voltage pulses and a comparator to derive gates and triggers, all manipulated by me in real time. Effects were all over the place, from pedals to software to modules. This release probably doesn’t logically “flow” into my greater discography, considering that my last release was entirely synth-free and the origins of this album are two years old as of this writing, but it suggests an ongoing unpredictability that the listener can expect from my output. Life is full of alleys, trail splits, and side quests, and my creative practice is no different. More albums are coming later this year (2019), each with a very diverse set of timbres, instruments, and techniques (including one all-synth album that uses no sequencers), and it should be an exciting year of releases. Stay tuned!